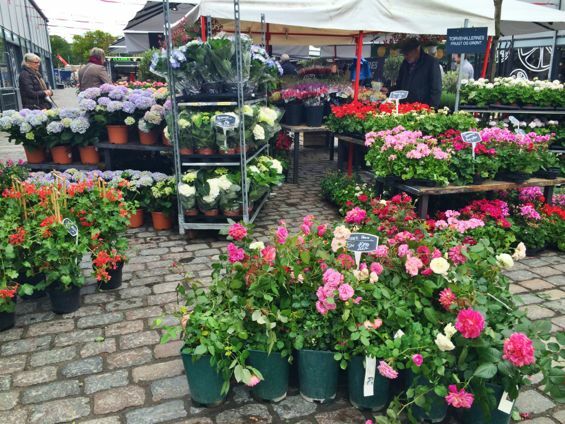 On a drizzly day in Copenhagen, I set out, flower-patterned umbrella firmly in hand, to learn about Danish cuisine. 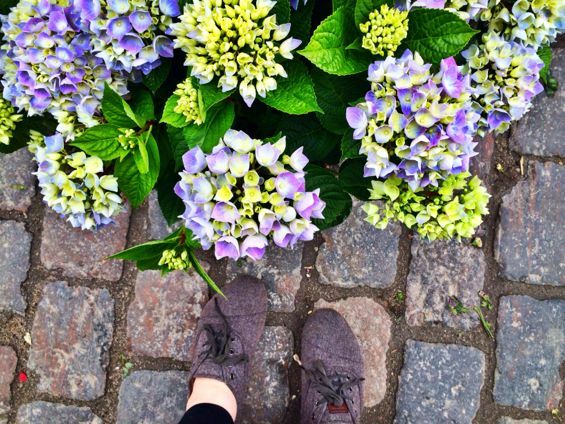 I had signed up with Copenhagen Food Tours for a culinary walk through Copenhagen, and for the next four hours, our guide Maria would lead us around the city as we sampled some of the best cuisine it has to offer. We began at Torvehallerne, a gigantic food hall. 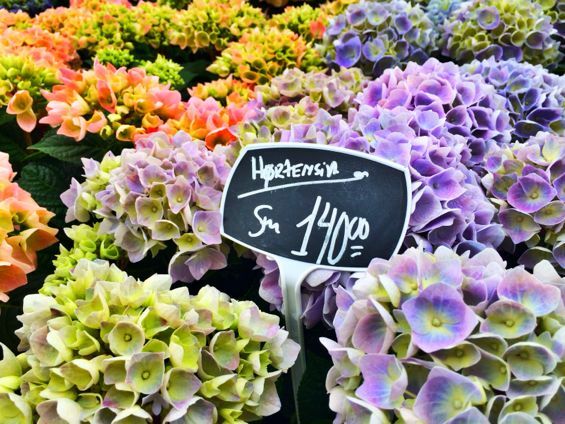 Much like Budapest’s Central Market Hall, I immediately loved – and was overwhelmed by – this place. 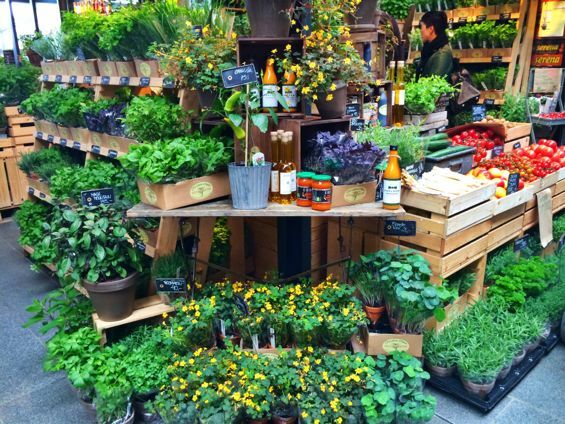 It has everything: organic produce, fragrant herbs, fresh flowers, delectable chocolates, and more. 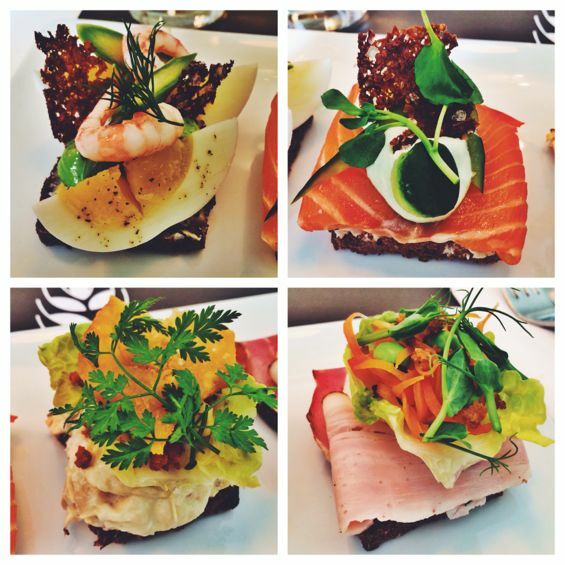 Even if you don’t go on a food tour while in Copenhagen, Torvehallerne is well worth a visit in its own right. 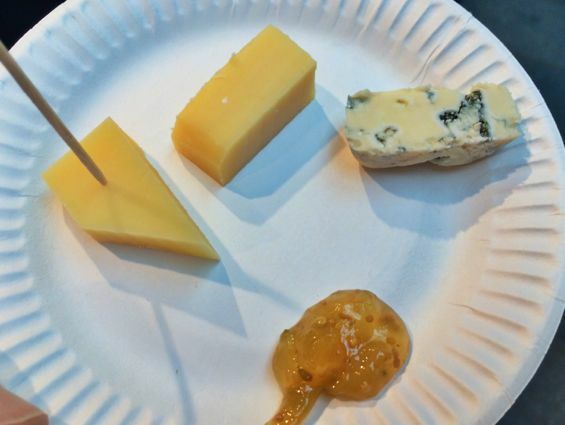 Our first stop was Arla Unika, an artisan cheese shop where we sampled three varieties of cheese: one made from raw milk, one called a “havgus,” and one Danish blue cheese. I particularly loved the havgus, which had a crispiness I enjoyed (this makes sense as, according to this source, havgus contains “delicious salty crystals). After the tour ended, I returned to Arla Unika to buy more havgus for dinner! Our plate also included a gooseberry jam, which Maria told us that Danes would traditionally eat to ensure they got plenty of Vitamin C during the long, cold winter months. We also drank an apple wine, which was 20% alcohol and made from locally grown apples. While I’m not typically big on apple-flavored beverages, I have to say that this was excellent. 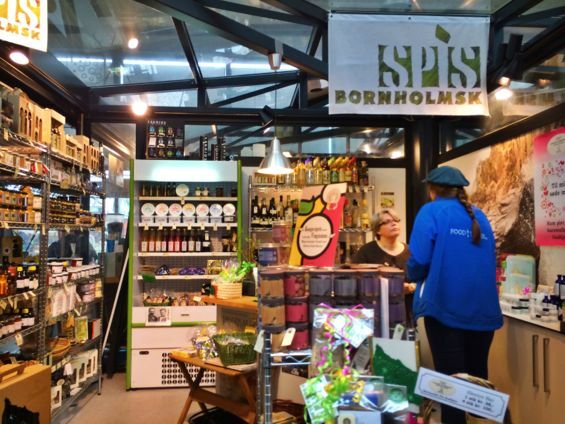 A few stalls over, we found Spis Bornholmsk, where we were treated to another plate of goodies. 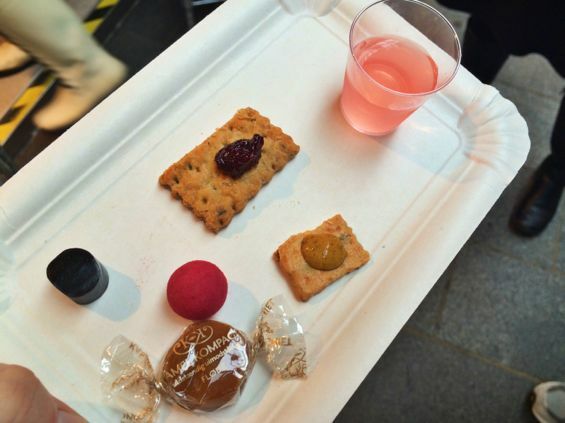 These included: a homemade mustard atop an organic spelt cracker, “blackberry apple dream jam” atop a Bornholm rye cracker, two pieces of licorice (one of which was rolled in white chocolate and strawberry), and a piece of soft caramel (which our guide dubbed “the dentist’s nightmare”). 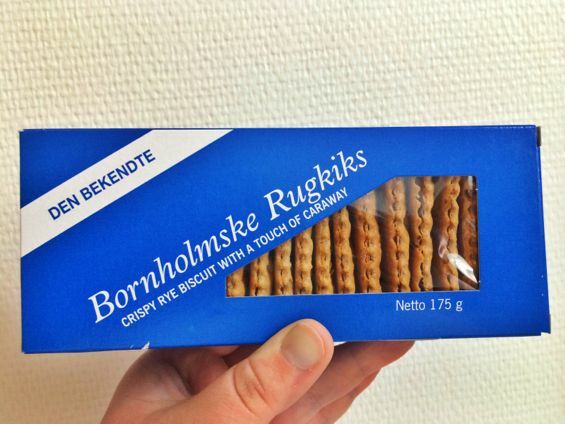 I loved the rye cracker and picked up a box for later. 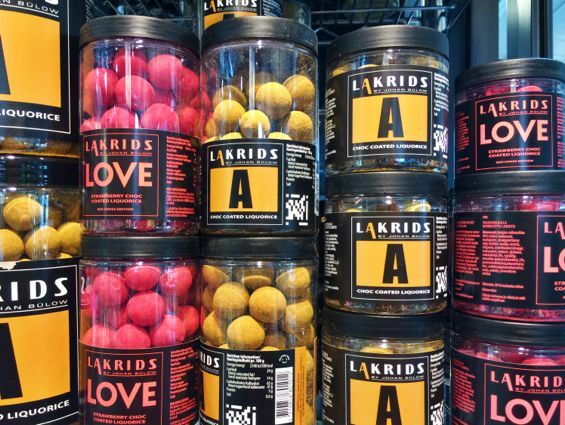 The white chocolate and strawberry dipped licorice was also quite good – and I don’t particularly care for licorice – so I picked up a jar for my dad, who does in fact love the stuff. We also tried a few drinks with our snacks: a rhubarb juice and an aquavit with elderflower that was 40% alcohol. It was definitely a jolt to start my morning with! Shrimp, topped with eggs, dill, and asparagus. Ham with romaine salad, bacon, and pickled carrots. 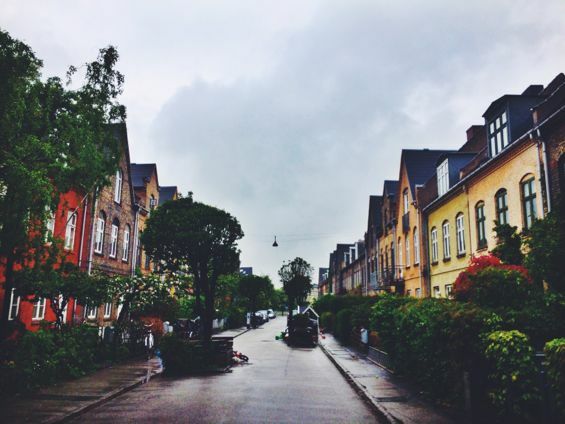 After finishing our sandwiches, we headed back out, detouring down Wiedeweltsgade, which surely must be the cutest little street in Copenhagen, even in the rain. 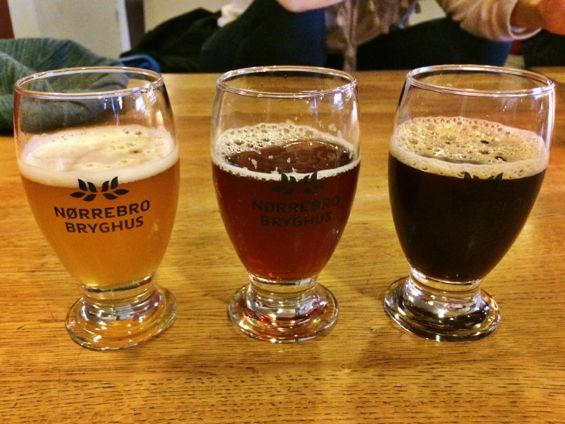 Our destination was the Nørrebro Bryghus, where we tried three generously portioned beers: a Thai-inspired ale made with lemongrass, a British-style amber ale, and a smoked porter with hints of coffee and chocolate. Typically, when anyone describes the “subtle flavors” that beers and wines have, I roll my eyes and think, “okay, sure.” But with the porter in particular, the chocolate notes were actually quite noticeable – which made for an interesting beer. 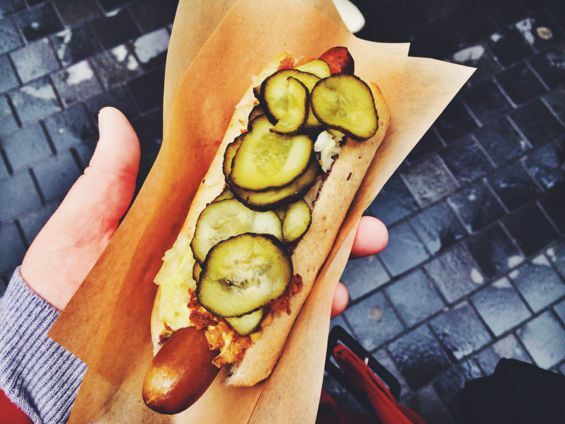 We headed on to Døp, a hotdog stand that serves up organic meat from Hanegal. While there are many hotdog stands throughout Copenhagen, this is the only one that serves organic hot dogs and, along with the open-faced sandwiches, this was my favorite bite of the day (actually, “bite” is misleading – we each got a whole hotdog; you definitely will not starve on this tour!). While I generally eat my hotdogs completely plain – which is weird, I know – I decided I had to go for the whole shebang here: regular onions, fried onions, pickles, ketchup, mustard, and remoulade. This was a seriously delicious hotdog – NYC hotdogs should hang their heads in shame – and the addition of the fried onions was particularly welcome. 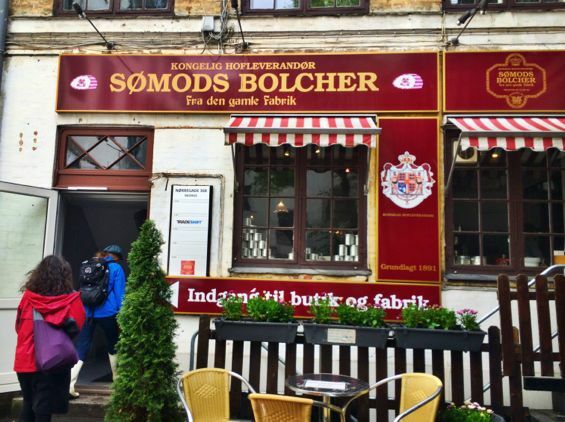 We next stopped at Sømods Bolcher, makers of old-fashioned candies. 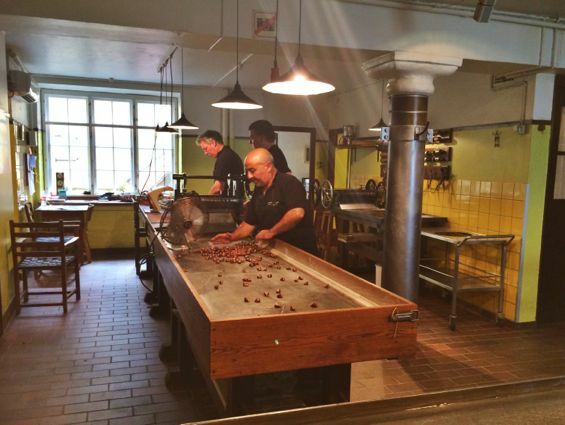 The cool thing about the shop is that you can watch the candy being made, crowding into a teeny-tiny viewing space to catch a glimpse of the workers sending the sweets through various contraptions. 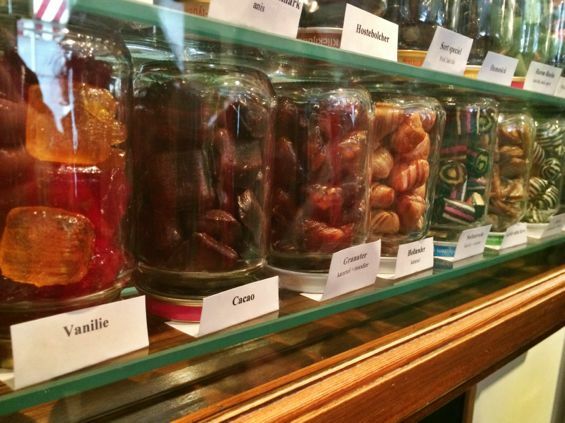 You can also try samples of the candy, which we of course did, my favorite being the rhubarb-flavored bite. Our final stop of the tour was Summerbird Chocolate. 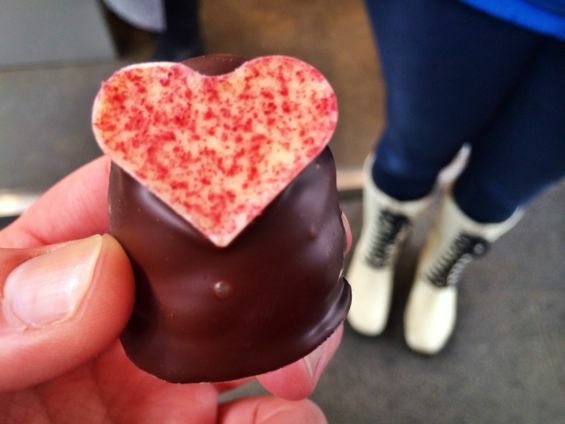 Here, we tried their “Mother’s Day Special” chocolate. Sadly, my notes here are a bit scant, so while I cannot describe the specific flavor of this truffle, one thing I do know is this: it was delicious. Though it was not included on the tour, Maria had pointed out St. Peder’s Bageri during our walk, and I decided that it sounded so good I had to try it later. 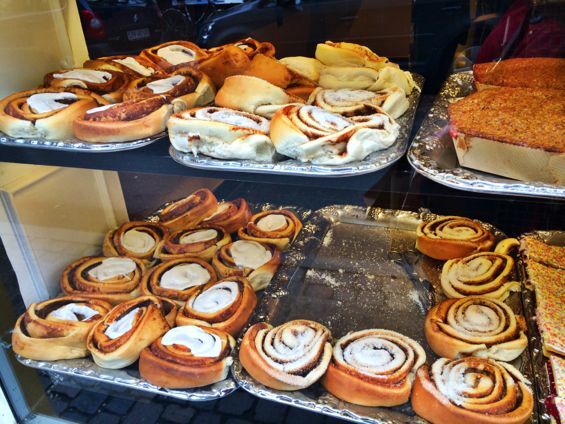 St. Peder’s specializes in cinnamon rolls, which are something of a Danish favorite. I bought one for my breakfast the next day and it was TO-DIE-FOR (all caps necessary). 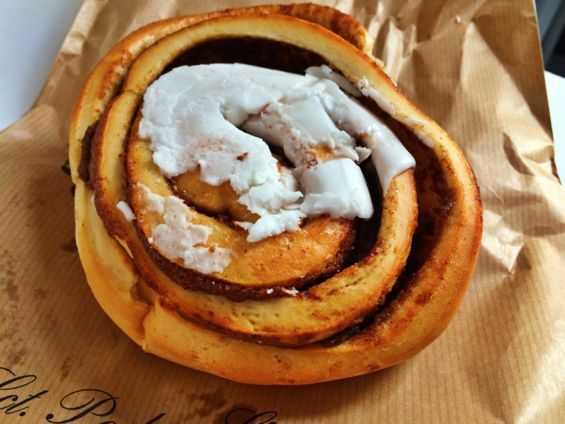 Maria also told us that, in Denmark, Wednesday is sort of an unofficial cinnamon roll day; bosses will bring them in for their employees to help them get through the long work week. Get on that stat, American bosses. 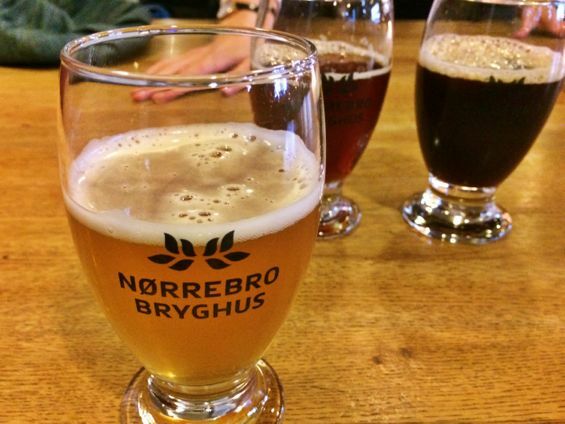 Overall, I couldn’t have enjoyed my experience with Copenhagen Food Tours more (okay, perhaps it would have been slightly better if it hadn’t been raining, but the food itself was top-notch). 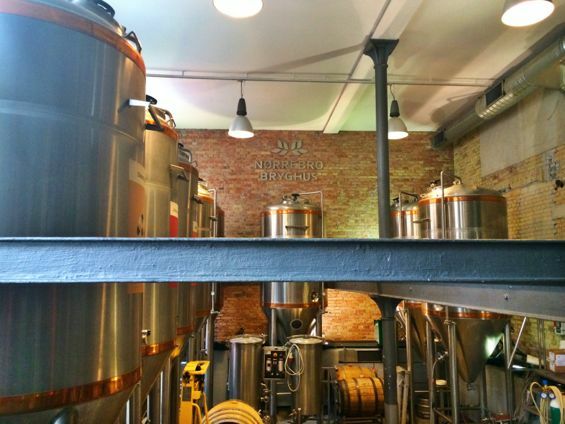 Throughout the tour, there was a distinct focus on patronizing places with organic, locally-grown products and an emphasis on sustainability – both of which are things I appreciate. 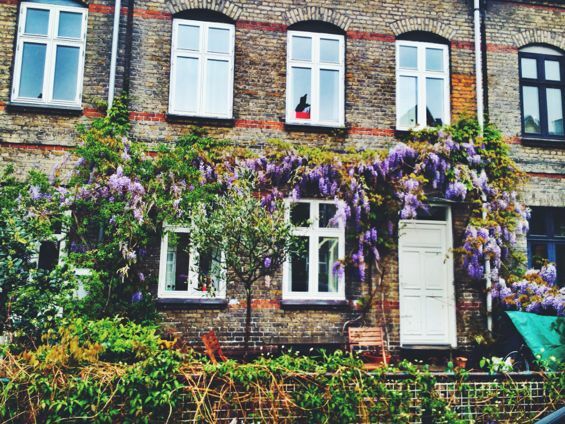 Plus, with a great guide, friendly fellow tour members, and a very generous amount of food, it’s the perfect way for any foodie to pass the time in Copenhagen. 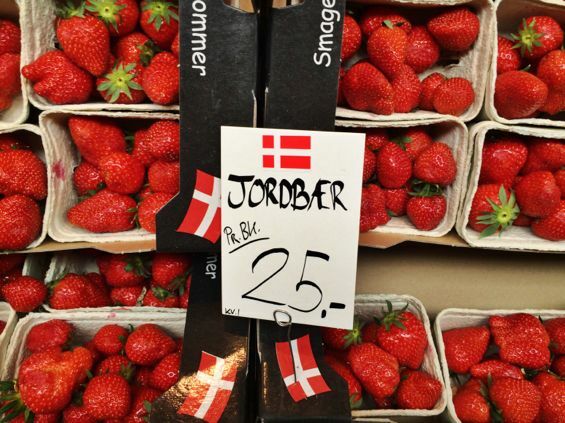 I had no idea that Copenhagen was such a foodie’s paradise! Looks like I’ll have more to look forward to here than architecture and that mermaid statue!